The MaRS Market Intelligence team examined the changes that took place over 2015 and identified three major technology-oriented forces that we believe will shape health innovation through 2016: more capital, more industry partnerships and more (conducive) policies. These forces will enable discoveries, technological advancements, business growth, technology adoption and—the most sought-after outcome—improved health of individuals, communities and economies. The United States experienced significant growth in healthcare venture financing in 2015, hitting a 15-year high of $9.4 billion. Of this figure, $7 billion went to biopharma deals and $2.4 billion went to medical device deals. Records were also set for healthcare investment returns in the US, with $23.6 billion distributed to investors in 2015. Canadian venture capital also experienced a strong year as an overall sector. In the first nine months of 2015, 410 deals were completed at a total value of $1.6 billion. According to the Canadian Venture Capital and Private Equity Association, these figures represent a 31% increase in deal volume and 15% increase in disbursements over the same period in 2014. The majority of these deals occurred in the information and communications technology sector—however, there also appears to be growing interest in the Canadian life sciences sector. In the first three quarters of 2015, 86 life sciences sector deals were closed at a combined value of $511 million. In comparison, for the entire 2014 calendar year, only 68 deals were closed at a combined value of $422.5 million. The top three Canadian life science companies with the largest venture capital–backed deals in 2015 were Clementia Pharmaceuticals ($60 million), Northern Biologics ($30 million) and Profound Medical ($24 million). There are a number of venture capital–managed funds in Canada that actively invest in the life sciences and healthcare sectors. 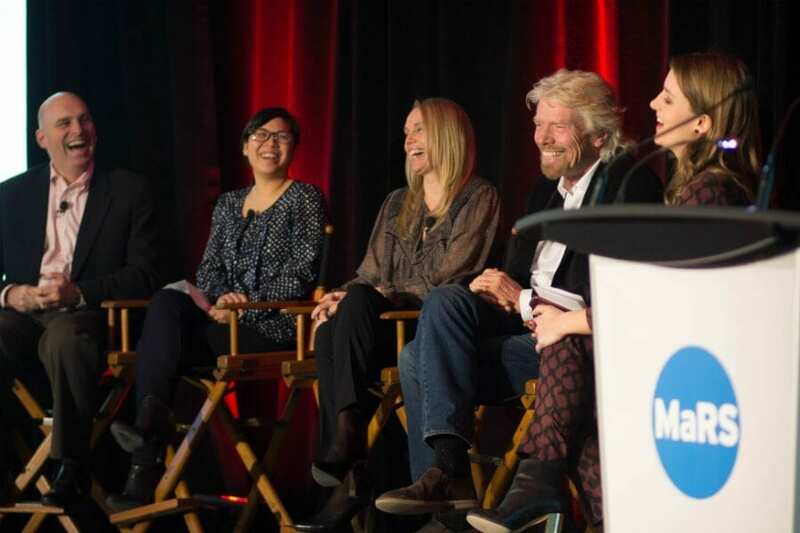 Recently, the MaRS Centre for Impact Investing, in partnership with Richard Branson’s Virgin Unite, launched the MaRS Catalyst Fund, a $5-million early-stage, cross-Canada direct investment fund. 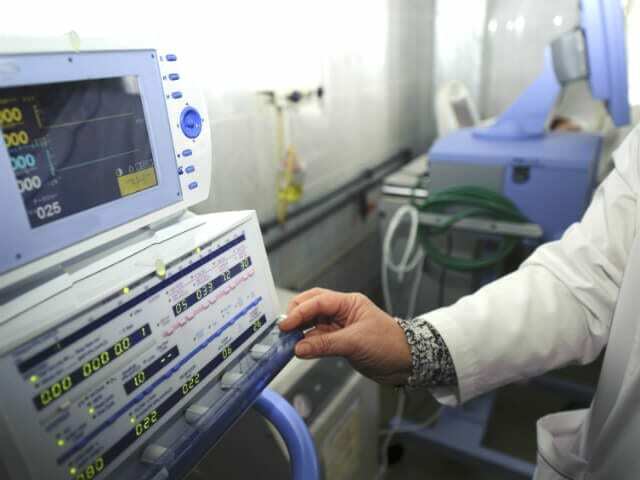 One-third of the investments made by the fund will be in the healthcare sector. Virgin founder Richard Branson announced a $5-million MaRS Catalyst Fund in 2015 to help fund Canadian ventures. Late last year, Hacking Health, in partnership with BDC, Real Ventures and MaRS launched an accelerator program that will invest up to $200,000 in digital health startups. Other venture capital firms active in the Canadian healthcare sector include the MaRS Investment Accelerator Fund (one of Canada’s most active seed-stage funds), OMERS Ventures, Lumira Capital, Genesys Capital, Georgian Partners, Versant Ventures and CTI Life Sciences. Venture financing in Canada looks promising in 2016, as a number of venture capital firms recently announced new funds. Earlier this year, iNovia Capital announced that it had successfully raised $175 million for a new venture capital fund. Additionally, Wind Mobile founder Anthony Lacavera, who spoke at MaRS Mornings in January, recently announced that he is raising as much as $100 million for a new fund that will aim to invest between $2 to $ 5 million per financing round. Georgian Partners, one of the most successful venture capital firms in Canada, is in the process of raising a $300-million fund, which will be one of the largest in recent history. The firm is capitalizing on its recent successes (like the initial public offering of its investee company, Shopify) to attract investors to the new fund. Within a couple of months, Georgian reached its initial $100-million close on the fund and it is on track to raise the next $100 million with relative ease. Other Canadian venture capital firms that have recently raised funds include Real Ventures, McRock Capital, OMERS Ventures and CTI Life Sciences. With the current transformation of health underway globally, the healthcare sector presents rich opportunities for entrepreneurs and investors. In 2016, we can expect continued growth in venture-backed investments in both the life sciences and healthcare sectors. Startups are providing needed solutions that are poised to modernize (and disrupt) healthcare and health systems globally, and large incumbent health corporations are starting to take notice. In recent years, large corporations have grown more interested in interacting and engaging with startups to feed their innovation pipelines. Realizing the competitive advantage of working closely with early-stage companies that are nimble, innovative and free from corporate red tape, health-focused multinationals have made significant efforts to embed themselves within the health startup ecosystem. With several blockbuster drugs coming off patent, it is no wonder that large pharmaceutical companies are exploring opportunities to partner with smaller firms that can potentially restock their pipelines. Further, pharma companies and medical technology companies are seeking to partner with digital health companies to help them bring patient-relevant services to wrap around their core product offerings. 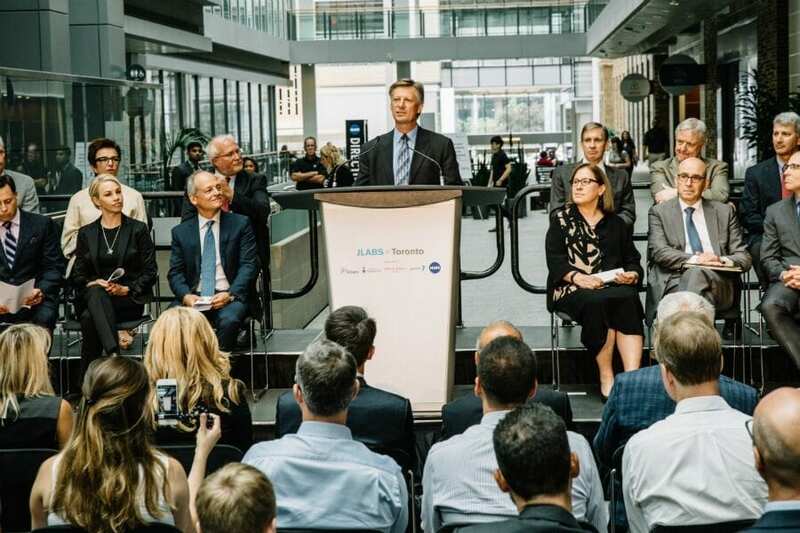 Last year, MaRS, the University of Toronto, and the Ontario government announced a collaboration with Johnson & Johnson, launching JLABS in Toronto. The new facility, located in the MaRS West Tower, will offer up to 50 healthcare startups across all four of Johnson & Johnson’s sectors (pharma, med tech, digital health and consumer health) access to laboratory space, programming, potential investment partners and the opportunity to collaborate and work closely with Johnson & Johnson experts globally. In 2015, the University of Toronto, MaRS and the Ontario government announced that JLABs @ Toronto (located at MaRS) will offer up to 50 health startups access to labs, programming and investment partners. A number of other multinational companies are employing a similar strategy to connect with the startup community. LEO Pharma, a multinational foundation-driven Danish pharmaceutical company, will be launching its first innovation lab in North America. Located in Markham, Ontario, the LEO Innovation Lab will have $100 million in support and will develop new non-pharmaceutical solutions (“digital therapeutics”) for people living with skin conditions like psoriasis. The lab will partner with startups to develop apps, web platforms, wearables, virtual reality, artificial intelligence, telemedicine and other innovative technologies. The LEO Innovation Lab will also invest in and provide grants to startups. Last year, Becton, Dickinson and Company (BD) established a strategic partnership with Breakout Labs in San Francisco to provide additional grant funding and professional expertise to qualifying Breakout Labs portfolio companies. Selected companies will be given an unrestricted grant of up to $25,000 from BD and will be partnered with a business mentor. Earlier this year, Merck announced the launch of an equity-free accelerator program for digital health startups in Nairobi. In addition to providing working space and $15,000 in funding, the accelerator will provide the opportunity for startups to access Merck’s global network of experts for coaching and mentorship. Big industry is also providing financial support to foster innovative technologies that will usher in the next era of advanced medicine. Recently, GE Healthcare and FedDev Ontario announced a $40-million investment to build a centre for advanced therapeutic cell technologies. The new centre will be located at MaRS and will be operated by the Centre for Commercialization of Regenerative Medicine. The new centre will offer cell therapy companies access to facilities and expertise to help develop manufacturing processes that can produce the cell volume required for clinical and commercial use. There are incredible advantages for big industry to work closely with health startups, as many forward-looking corporations view startups as an opportunity to create value for their company and the broader ecosystem in which they operate. In 2015, we saw many corporations forging partnerships with the startup community, especially here at MaRS. Expect 2016 to witness even more activity on this front. A series of policy changes has occurred internationally that bodes well for the commercialization and adoption of innovative health technologies in 2016. For example, in August, the United Kingdom’s Department for Business, Innovation and Skills invested £18 million into Biomedical Catalyst, a program run by the Medical Research Council and Innovate UK. The funding will help academics and small businesses to take their technologies through to commercialization. In early February, the momentum continued when Penny Pritzker, the US secretary of commerce, announced a series of innovation grants, including a half-million dollars dedicated to expanding technology development and entrepreneurial practices within Maryland’s biohealth industry. Similar policy shifts are also emerging at the federal level in Canada. This past July, the Advisory Panel on Healthcare Innovation released its report: Unleashing Innovation: Excellent Healthcare for Canada. In the report, the panel recommends a series of changes to ensure that Canada fosters innovation, including recommending a $1-billion healthcare innovation fund and a federal agency dedicated to advancing healthcare innovation goals. Additional recommendations are centred around five major themes. Dr. Jane Philpott, federal minister of health, has expressed strong interest in the report’s recommendations, leading us to believe we may see some of them translate into policy in 2016. In 2014, the Ontario Health Innovation Council released a report titled The Catalyst, detailing the significant challenges innovators encounter when trying to dock with the $52-billion Ontario health system. The report outlined six key recommendations to debottleneck the system. Establish a dedicated office to lead and coordinate innovation efforts. Broker relationships among industry, research and health sector stakeholders to accelerate commercialization of innovations. Shift to strategic, value-based procurement of innovation. Create incentives and remove barriers to innovation across the health system. Continually improve pathways to adoption and diffusion of innovative health technologies. By May of 2015, the provincial government announced it was moving forward with all six recommendations. Created as a result of one of the recommendations, the $20-million Health Technology Innovation Evaluation Fund is expected to be particularly impactful by supporting pre-market evaluations of technologies and early adoption of homegrown health solutions through programs like MaRS EXCITE. In all, with more conducive policy environments, the growing availability of growth capital and strategic industry alliances at the global, federal and provincial levels, emerging health technology innovators can expect more support for their growing ventures in 2016 than ever before.